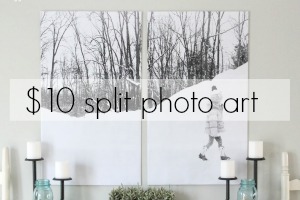 I’ve been just itching all week to share my little table makeover with you! I felt like I was climbing back in the saddle. 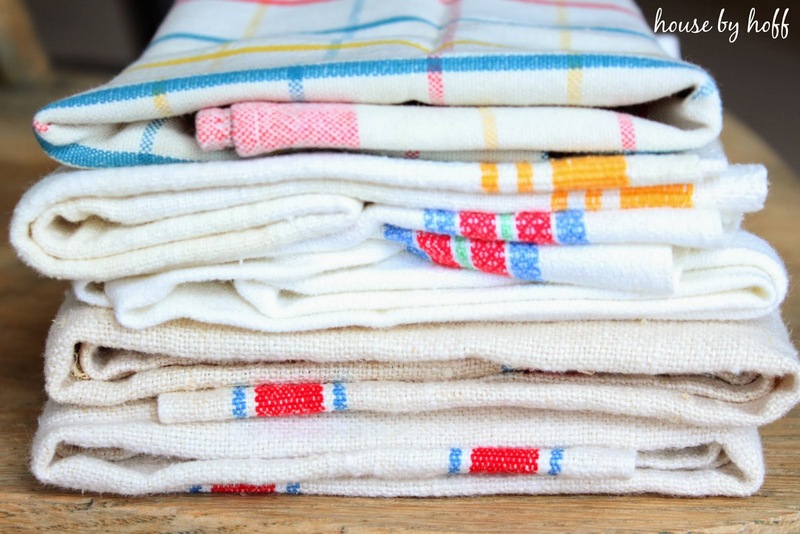 I recently received a bundle of vintage tea towels. 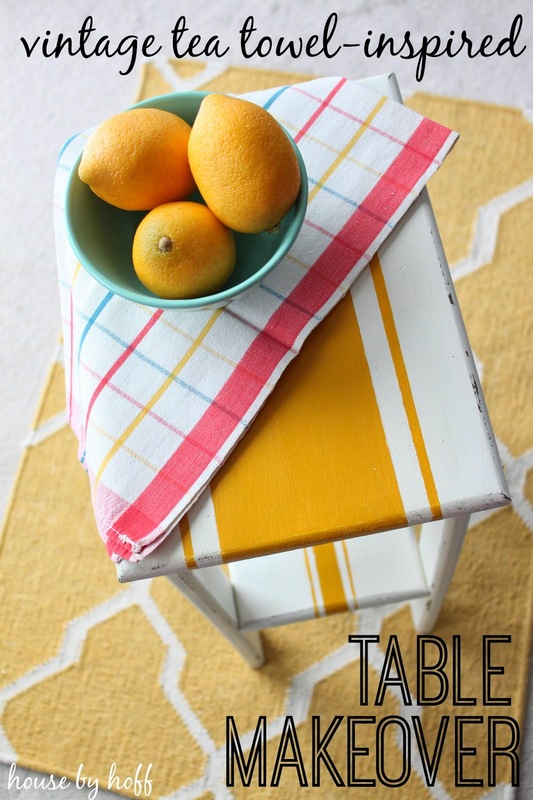 I loved the colors and stripes, and I used them as my inspiration for the paint job on my table! 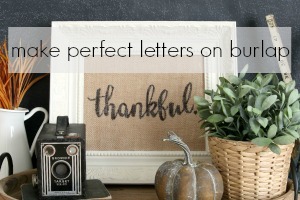 I used Country Chic’s fabulous chalk paint in Vanilla Frosting and Fresh Mustard to see my vision through. I was so impressed with this paint! Country Chic Paint is VOC FREE and basically odorless! I painted this little gem in our laundry room, and didn’t smell anything. The paint is so easy to use! I hardly did any prep work on this junky little table! Also, it dries really quickly! 1. As I said above, there was very little prep work involved. I simply wiped down my table and started painting. (I did not have to sand or prime, that’s the beauty of Country Chic’s paint!) It took only two coats of Vanilla Frosting to completely cover the table. 2. 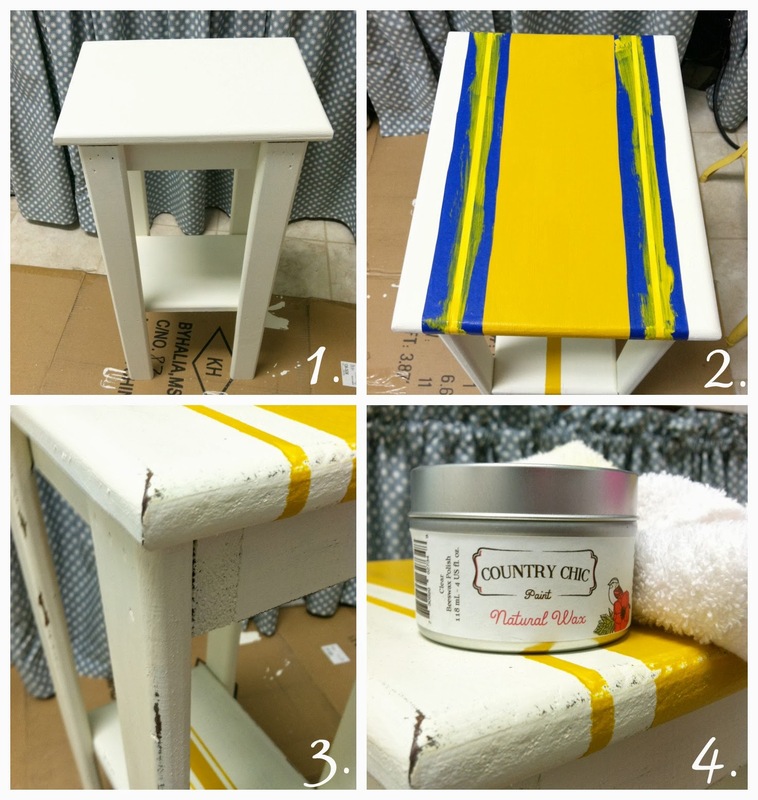 Using some painter’s tape and some Fresh Mustard paint, I added the stripes to the table. So easy! 3. Distressing this piece was so easy! I lightly sanded the edges with some fine-grit sand paper. 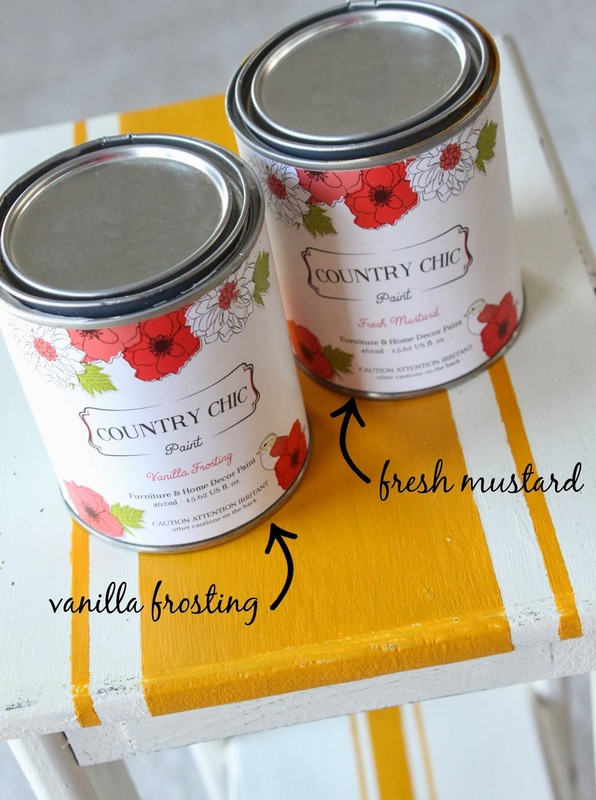 Country Chic’s paint is made for easy distressing! 4. I added two coats of Natural Wax to my finished table! I love how vintage and sweet my little table looks! 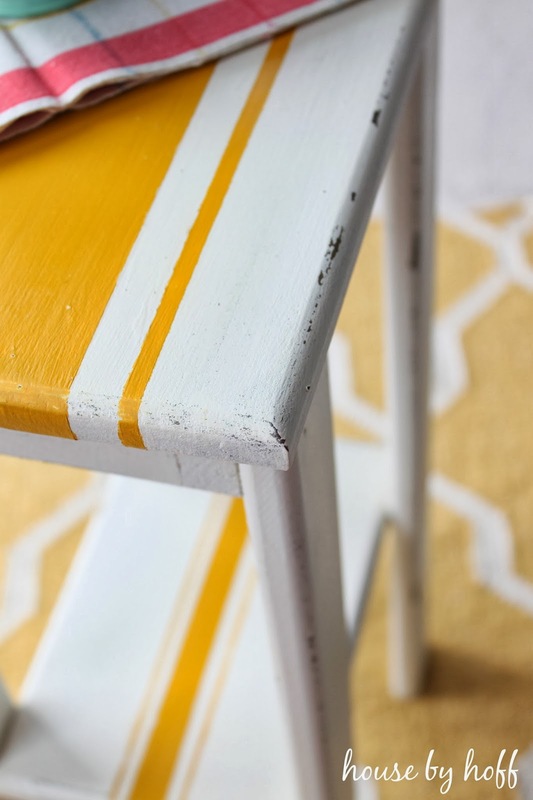 The “Fresh Mustard” stripes just add so much character, don’t you think? Love it! That paint is so chic! Where did you find it? So fresh and summery! Love the colors! I love the yellow! Such a cute table. This table makes me so happy. 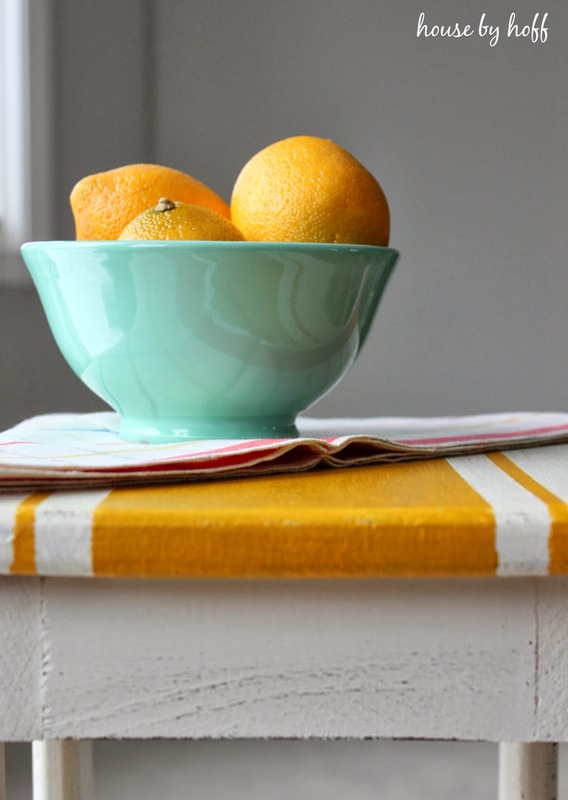 I love the color and I love the stripes and those vintage towels are beautiful. I can see how they can quickly inspire. Happy weekend friend! Love! I got a sample of the mustard and am dying to find a place to use it! Love that color! 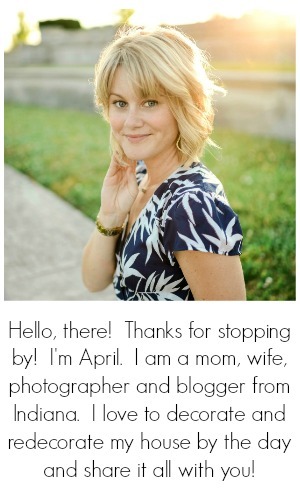 This is gorgeous, April! I love the colors you chose! Wonderful job! Cute cute cute! This little table has so much personality now! Love it April! The fresh mustard looks incredible- I was wondering how that color would look in ‘real’ life- and I love it! I am always a sucker for stripes! This looks so good. I really need to give chalk paint a try. Super cute! Love the yellow and white contrast. I love your photography. The yellow and white are similar, to a bright sunny day, with a crisp white sheet hanging on the line. Oh Happy Day. Love your table makeover! I think grain sack stripes make any piece irresistible. I transformed a bookcase with similar color striping! Love you to come see it at http://bit.ly/1RanhHa and while you’re there say hello!